Good news for those of you who are in UK, France and Canada. iPhone 4 in these countries are available without contract, which means that it is unlocked so that you can use it with any carrier you want – anywhere in the world. These SIM free unlocked iPhone 4’s are available for £499 for the 16GB model, and £599 for the 32GB model in the UK, €629 for 16GB and €739 for the 32GB in France, and $649 for the 16GB and $749 for the 32GB in Canada. When you purchase your iPhone from the Apple Online Store, you’ll get it commitment-free. So you can sign up for service with the carrier of your choice and change your carrier at any time. So if you have some relative or friend in either of these countries, you already know what to do! 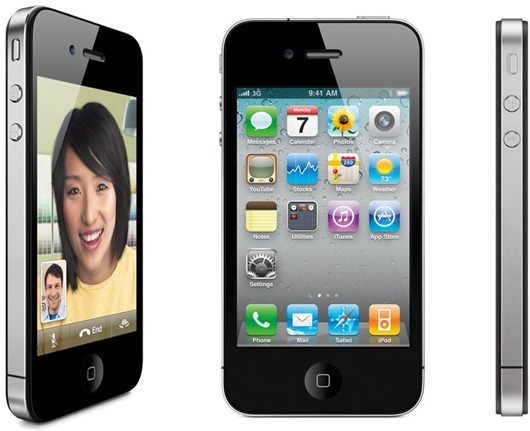 Call them up and import a brand new iPhone 4 right now so that you can use it with any carrier you want ! Pre-Order Links: Apple Store UK, France and Canada. I am pretty sure they will not allow it. Apple only ships to the country of the store. Better off making a buddy over the border. when is the iphone 4 release in canada ? On july 30th in canada as per apple press conference fro the antennagate ! I live in Aruba and i bought a Canadian iPhone 4 thinking it was fully unlocked but it isn’t yesterday i got it and when I’ve put my local carrier sim in it it wouldn’t activate (Message on the screen say: No SIM card Installed Isert a valid SIM with no PIN lock to activate the iPhone.) So for now I’m a firm believer that the canadian and uk version are unlocked to the respective country carriers but not to international carriers. It’s not a world unlocked phone. before jumping to conclusions.. where did you buy this “unlocked iphone4 from canada”?